Fruit Warehouse | Babaco ( Vasconcellea × heilbornii ) | The babaco is classified as a herbaceous shrub like Carica papaya (pawpaw or papaya) but unlike papaya it Produces only female flowers. 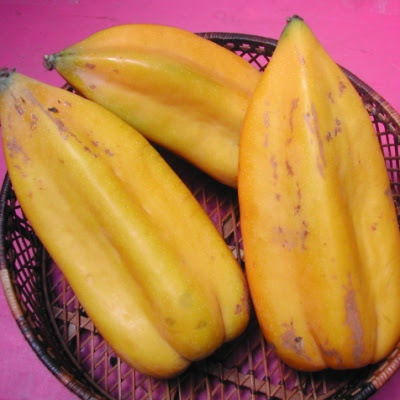 The plant can babaco fruits Annually Produce from 30-60, and has an average life span of about eight years. The small plant is better suited as a container specimen than its cousin the papaya, the which needs constant moisture and high temperatures to survive. 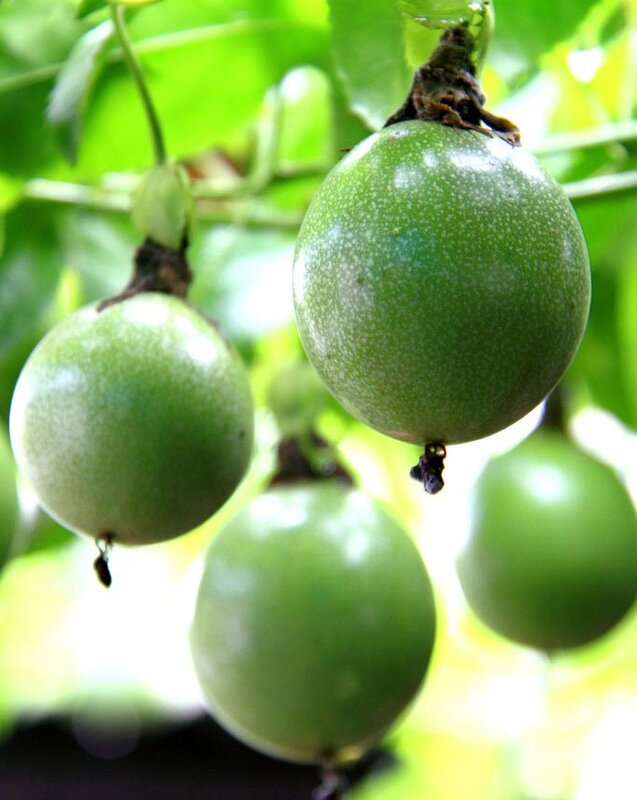 Fruit Warehouse | Arhat ( Siraitia grosvenorii ) | It is grown primarily in the far southern Chinese province of Guangxi (mostly in the mountains near Guilin), as well as in Guangdong, Guizhou, Hunan, and Jiangxi Provinces. Records as early as 1813 mention the cultivation of this plant in the Guangxi province. At present, the Guilin mountains harbor a plantation of 16 square kilometers with a yearly output of about 10.000 fruits. 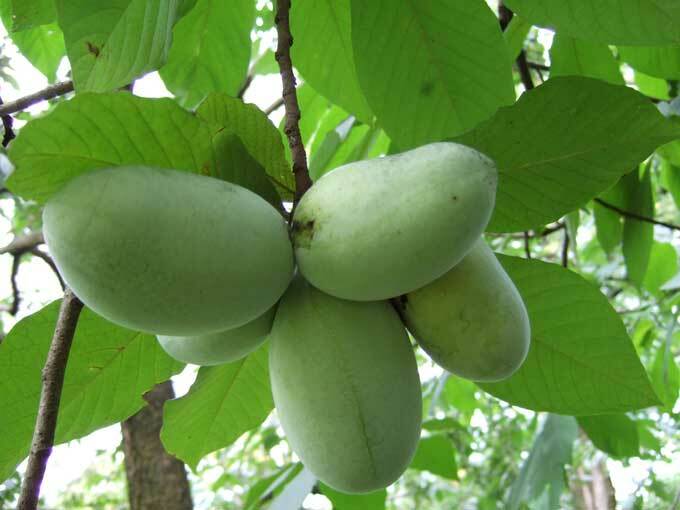 Fruit Warehouse | American Pawpaw ( Asimina triloba ) | The pawpaw is a patch-forming (clonal) understory tree found in well-drained, deep, fertile bottom-land and Hilly upland habitat, with large, simple leaves and large fruits, the largest edible fruit indigenous to the United States. 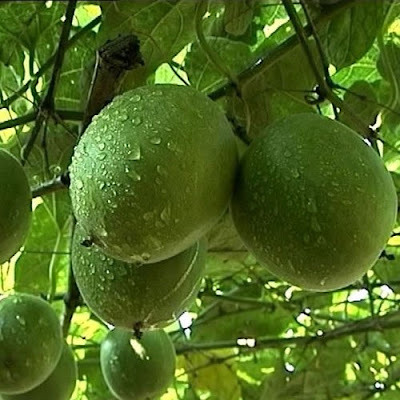 Asimina triloba, the pawpaw, paw paw, paw-paw, or common pawpaw, is a species of Asimina (pawpaw the genus) in the same plant family (the Annonaceae) as the custard-apple, cherimoya, sweetsop, ylang-ylang and soursop.